Whether you’re shopping for your significant other, girlfriends or self, Jeannine Morris of Joyfully-Me.com is sharing this year’s most thoughtful gift ideas and there’s something for everyone. 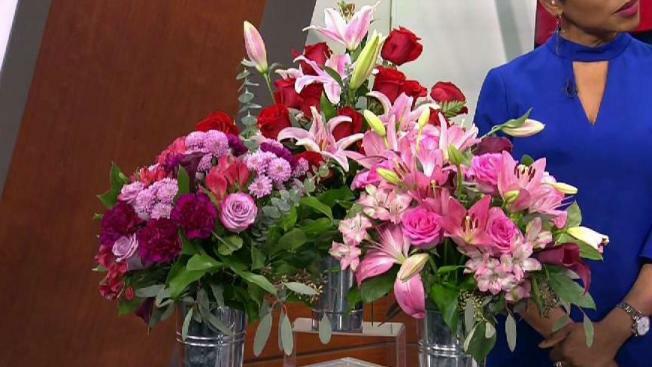 Of course flowers are a Valentine’s Day staple and 1-800-Flowers recently released their Valentine’s Day collections. Besides traditional roses and everything else, they have a Wild Beauty Collection that’s made up of farm fresh bouquets featuring seasonal flowers like oriental lilies, silver dollar eucalyptus and thistle. The colors and textures are rich and vibrant! They arrive either in loosely-wrapped kraft paper inside a signature box or a flower pail. Jewelry is the second thing that comes to mind when thinking of Valentine’s Day gifting and I’m excited to introduce you to Luca + Danni. The Valentine’s Day collection features love inspired bracelets, rings and necklaces that you can layer or stack. The brand is also known for giving back to charity. Besides the Valentine’s Day collection, they offer an assortment of meaningful items. Self-love should really take center stage on Valentine’s Day. The Practice You Journal by Elena Brower contains 150 pages of questions, teachings, imagery and space to write, draw and reflect. Journal away and get in touch with your personal desires in order to live your best life. There are so many box sets out there, but BOXFOX offers elevated gifting. For Valentine’s Day, they have four boxes to choose from or you can build your own box to really customize it to the person you’re gifting. They also make boxes for every occasion.